As Pfanstiehl approaches its 100th anniversary in 2019, the company has launched a new high purity, low endotoxin, and low metal L-Arginine (USP, EP, JP, ChP), manufactured in the US under strict cGMP, ICH Q7-compliant conditions. This is the first amino acid Pfanstiehl has launched, and they have others in development. Amino acids have been known to exhibit both lyoprotective and cryoprotective effects similar to those of established stabilizers, such as sugars and/or polymers, but they offer a greater range of chemical structures and physicochemical properties. Their ability to prevent protein aggregation in both liquid and solid states, make them an attractive alternative as protein stabilizers for freeze drying. L-Arginine has a chemical structure and physicochemical characteristics, which are distinct among amino acids and can provide additional benefits to freeze-dried protein formulations with regard to stability. Typically known as a key component in upstream cell culture, L-Arginine has also been utilized to help prevent aggregation when pharmaceutical formulations contain therapeutic proteins at relatively high concentrations. As part of Pfanstiehl’s continual commitment to producing the industry’s highest purity, lowest endotoxin and lowest metals for bioprocessing components, the L-Arginine (A-170) specification includes ICH Q3D Elemental Impurity Data that is backed by extensive product characterization. The product specification is also compliant with Chinese Pharmacopeia. Pfanstiehl’s market-leading specifications for the new L-Arginine help to provide product quality and consistency for better support with biopharmaceutical processing requirements. Commercial material and samples from Pfanstiehl’s cGMP-manufactured batches of L-Arginine are available now for customer qualification and manufacturing, along with a Product Profile. 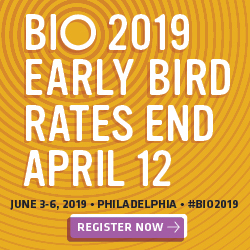 Pfanstiehl is the market leader of high purity, low endotoxin-low metal carbohydrates for biologics, biosimilars, vaccines, cell culture media and injectable (liquid and lyophilized) formulations and supplies its products to nearly all of the leading global biopharmaceutical companies. Pfanstiehl has manufactured parenteral grade excipients for more than 50 years, and Pfanstiehl’s excipients are critical formulation components in the majority of the top ten global blockbuster biopharmaceutical drugs which have been administered to thousands of patients around the world. Pfanstiehl’s high purity, low endotoxin-low metal Excipient products are known as “best in class” due to their high purity, performance, consistency and quality attributes. 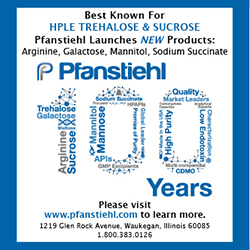 Known for nearly a century for its first-in-class carbohydrate chemistry expertise, Pfanstiehl has built a market leading reputation for supplying high quality, cGMP-produced excipients from its US headquarters north of Chicago. 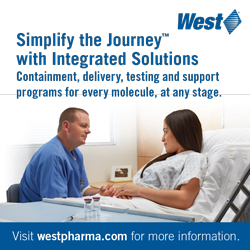 For more information about Pfanstiehl and Pure Formulation Solutions, please contact us at cs@pfanstiehl.com or visit www.Pfanstiehl.com.